Welcome to the latest news update from the World BORDERPOL Congress 2013. 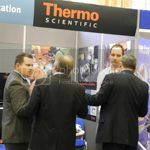 We invite you to join us and the industry in London on 3rd & 4th December. Are you interested at speaking at the World BORDERPOL Congress? The World BORDERPOL Congress Advisory Committee are currently inviting abstracts for consideration for inclusion in the conference. If you are interested, you are invited to submit your abstract by 28th February for consideration by the conference committee by submitting an abstract. Simon Cooper, UK Border Agency’s Regional Assistant Director, will present a paper on the approach that the UK is taking working with source and transit countries law enforcement and immigration agencies to disrupt the organised immigration crime groups who profit from illegally smuggling migrants across Europe. Registration is now open for you to register your place at the 2nd World BORDERPOL Congress. The Biometrics Institute is an independent organisation providing an impartial forum for sharing knowledge and information about biometrics and has confirmed their support and endorsement of the World BORDERPOL Congress. The AeroSpace and Defence Industries Association of Europe, ASD, represents the aeronautics, space, defence and security industries in Europe in all matters of common interest with the objective of promoting and supporting the competitive development of the sector, have confirmed their support and endorsement of the World BORDERPOL Congress. Technology will play an increasingly important role in delivering more efficient processes and enhancing security at the borders, the World BORDERPOL Congress exhibition will showcase of the latest technologies and capabilities in border protection and security. Canada and the United States are to start sharing fingerprints, names, photos, birthdays and nationalities of people applying for visas from next year. The name, date of birth and gender details will be shared automatically in 2013 and by 2014 other biometric details such as photos and fingerprints will be added to the system. Sir Charles Montgomery has been appointed as the new Director General of Border Force. Sir Charles has enjoyed a distinguished career in the Royal Navy, attaining most recently the role of Vice Admiral – Second Sea Lord and Chief of Naval Personnel and Training. six women, who were inducted into the Border Security Force (BSF) on Friday, have shattered more frontiers than their 179 fellow male inductees. Kenya deployed extra security on its border with Somalia as fighting between al Shabaab insurgents and government forces raged near its border. Authorities believe they have disrupted a major people-smuggling network after carrying out dozens of co-ordinated raids in England, France and Belgium. Border Security Force (BSF) seized over 288 kgs of heroin and fake currency Indian notes with a face value of Rs 46 lakh in 2012 along the Indo-Pak border in the state. Ivica Dacic, Serbia's prime minister, and Hashim Thaçi, prime minister of Kosovo, have reached a “provisional understanding” on the collection of customs duties at their border according to Catherine Ashton, the European Union's foreign policy chief. Federal Government has said it is considering entering into private public partnership for border patrol across the land borders, the Minister of Interior Comrade Patrick Abba Moro announced. Border police, immigration and border management and security policy makers and practitioners. The World BORDERPOL Congress Exhibition provides a unique opportunity to meet, discuss and communicate with some of the most influential border management, immigration and security policy makers and practitioners. A limited number of opportunities exist to commercial organisations to be involved with the conference and exhibition and the opportunity to meet and gain maximum exposure to a key and influential audience.